Go to CABOCHONS AVAILABLE, HEARTS, LARGE STONES, PAIRS, PREVIOUS, NEXT. 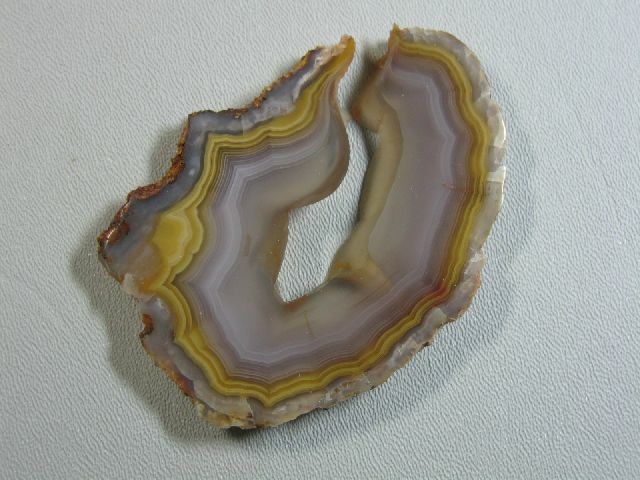 The cabochons on this page have been cut from the beautiful Coyamito Agates of Chihuahua, Mexico. We charge one shipping cost for all that will safely fit in a Small Priority Flat Rate box and will ship to the U.S. as well as Internationally. First Class Shipping available upon request. 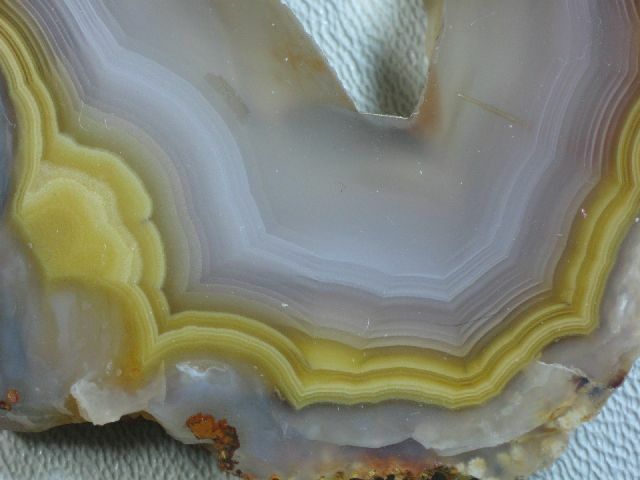 This is a polished slice from a Coyamito Agate from Chihuahua, Mexico. 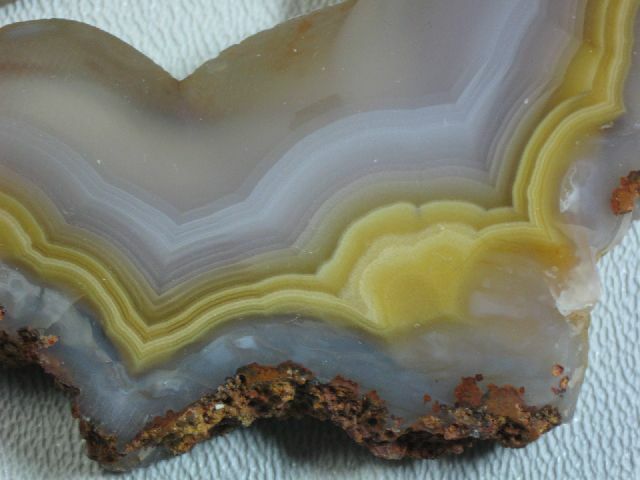 A beautiful amber-colored fortification ribbon around the edge of this beauty, with a slight hint of parallax in one area. It is open at the top but from the back side, you can see it is lightly connected on the back. 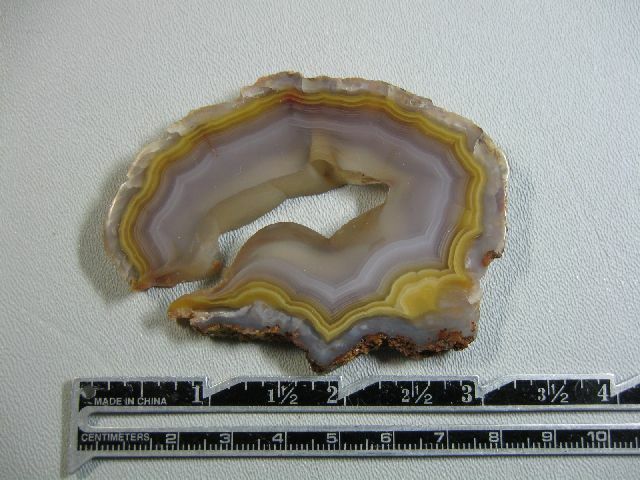 It has a polish on both sides, but the edge has been left natural (except the bottom area where the rock was chipped into when digging it out). 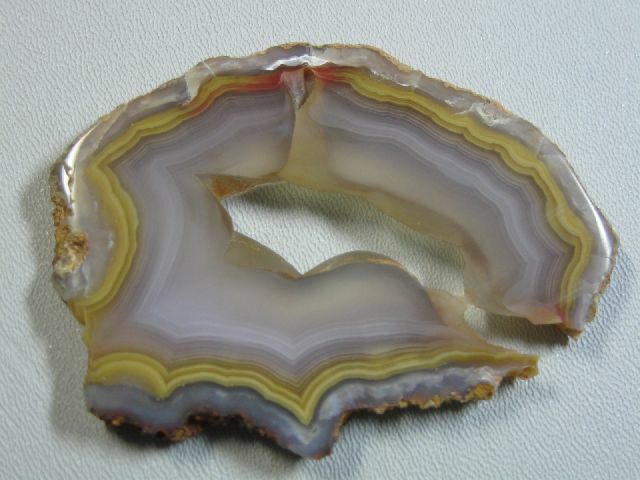 It is roughly 3" x 2" and 6-7 mm thick, weighing 219 carats, or 44 grams (1.5 ounces). 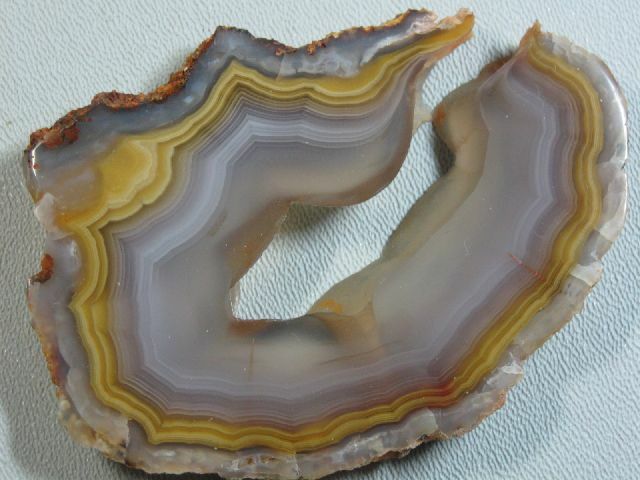 This would make a stunning focal point as a large necklace, but equally as awesome just as a specimen. First Class shipping available upon request. 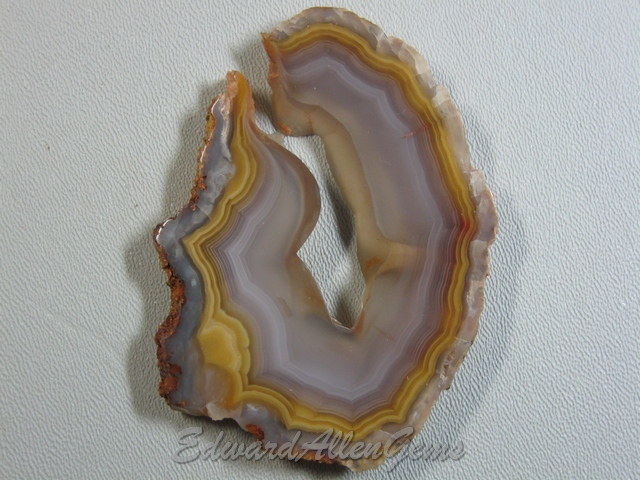 CABOCHONS AVAILABLE, LARGE STONES, PAIRS, PREVIOUS, NEXT.